For anyone who hasn’t heard this rule before, the idea is that if you are mean and serious enough during the first three months of the year you are able to intimidate and terrify your class into submission. I’d just survived my first day of teaching and couldn’t believe just how chatty, headstrong and confident my class of 30 eleven and twelve year olds were. As a doe-eyed graduate, I was desperate to take on any advice to achieve success in any of its forms. Whatever would help me would be welcomed with open arms. And bringing fun into the room. Unsurprisingly, spending all day oozing negativity and preventing enjoyment affected me. Maybe this was just what you had to put up with to have a class work quietly and do what they were told? I did what any normal person would do and convinced myself that this was how it was and that I’d be an idiot not to follow the advice of a person who’d spent 25 years in education. A month later I was grabbing my things out of the car, I took some deep breaths, focused on all the things I was looking forward to during the weekend and then headed off to my classroom to prepare myself for another day. This is going to be the best day ever! As I was walking to my classroom I saw my expert advice giver and shared the progress I was making. I had definitely NOT smiled once and was right onto the class. She gave me a big smile, congratulated me on my efforts and said, “Perfect! Remember, you start the way you want to finish!” before moving into our staff room. Every day was going to be like this? Even at the end of the year?! I would listen, smile and thank any unsolicited or unwanted advice giver…then give myself time to consider and check out their advice. After walking from away that conversation I decided I was going to do the complete opposite: I was going to smile whenever possible before Easter. Kid asks a question? Smile. Walks in the room? Smile. Simple, yet drastic changes happened. Kids who didn’t enjoy school started turning up early. Quiet, unassuming kids started speaking up more. The quality and quantity of the class’ work increased. Parents started commenting about changes they were seeing in their kids. All because I didn’t blindly follow the advice of an apparent expert. In every part of our lives we are faced with a variety of experts – public versus private school, parenting, fashion, financial, political (who saw that result coming?!) and even life experts coaches. All of these people have huge amounts of advice waiting to be dished out, but just because some advice is served up to us, doesn’t mean we need to eat it up. Sometimes it’s okay to take it away to use or throw it away. 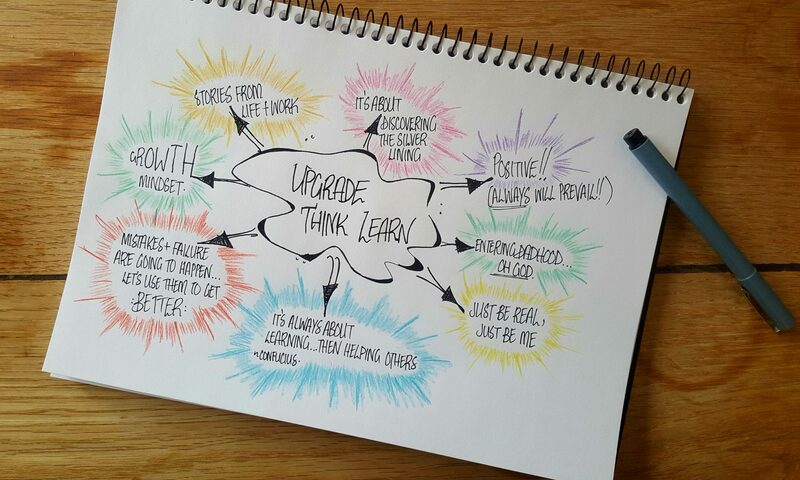 Why not join our Upgrade Think Learn community?